Counselling Vancouver, BC: Caring and Competent. Find the right therapist near you. Page 2. Counselling in Vancouver, BC. Find the Right Therapist. Safe, effective, and caring. Affordable therapists near you in Vancouver, British Columbia will help you make the changes you want. Welcome to ARC! Our team provides support and treatment for: anxiety/panic disorders, mood issues (depression, dysthymia), relationship difficulties, self-esteem issues, and trauma. We also to offer couples & marriage counselling during weekday mornings and afternoons. As a client, you are the focus of my work, and from the moment you sit down with me I want you to feel supported, safe, and welcome. One of my strengths as a counsellor is in creating a compassionate environment for the work of therapy. Bronwyn has a warm, authentic, pragmatic approach that assists clients to pro-actively move forward from self-limiting patterns of behaviours and helps clients to process challenging life events using recognized therapeutic interventions. 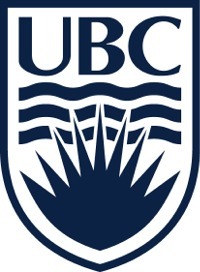 The UBC Psychology Clinic is an outpatient mental health and state-of-the-art training clinic in the Department of Psychology at the University of British Columbia. We offer comprehensive psychological services for children, adolescents, adults, and families in the Greater Vancouver community. We provide affordable, professional services using the most recent advances in mental health care. All our services are confidential and meet the ethical guidelines established by the College of Psychologists of British Columbia. A rich, full and meaningful life- this is what we'd like for you. For many of you reading this, it may seem like a life not possible for you. We are counsellors who have lived through struggle, and wish to support you to heal, grow, and achieve that. Blending a compassionate and intuitive nature with a direct and gently challenging approach, Naomi will help you pinpoint the heart of the matter and make changes very quickly. Vancouver is located in British Columbia, Canada. It has a land area of 114.97 square kilometers. The population of Vancouver is 631,486 people with 283,916 households . The population ranking for Vancouver is #8 nationally and #1 for the province of British Columbia with a density of 5492.60 people per sq km. Vancouver therapists serve postal code: V5Y.